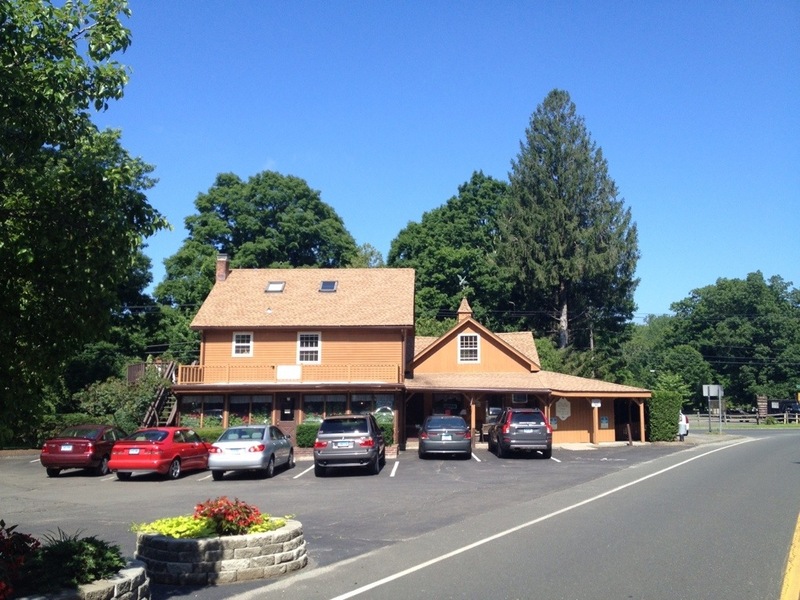 If you drive north along Route 58 in Easton (also called Black Rock Turnpike) the absolutely scenic drive takes you past the reservoir and to a little establishment called the Olde Bluebird Inn. 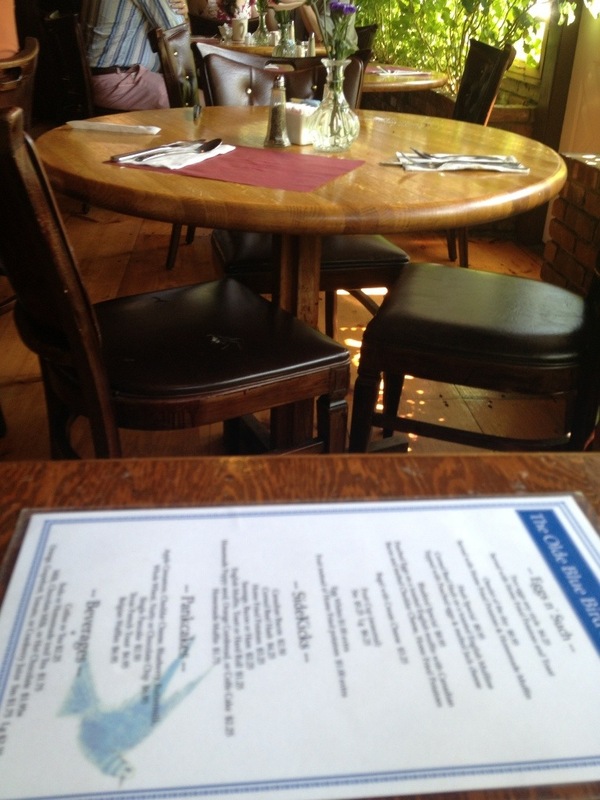 The quaint and cozy Olde Bluebird Inn reminds me of little “mom and pop” restaurants where we’d stop to eat during family vacations to Maine and upstate New York over the years. 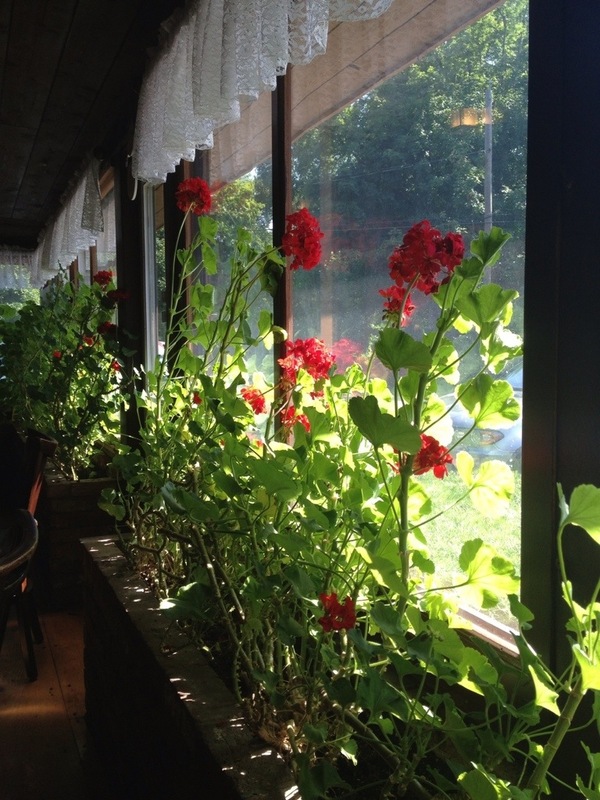 The wood paneled walls, wooden tables and chairs, and geraniums bordering the front windows make the inside of Olde Bluebird Inn feel inviting and casual. 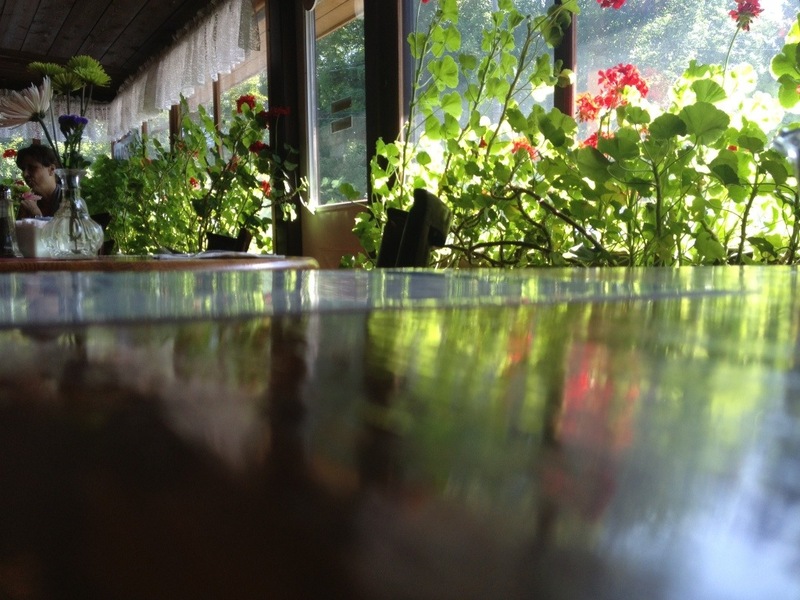 Maybe I’m partial to geraniums because we always had pots of them around the house when I was growing up, but as we sat down at a table nestled in a corner in front of the large front windows beside the row of geraniums, I couldn’t help but feel as if I had arrived at a cozy place. 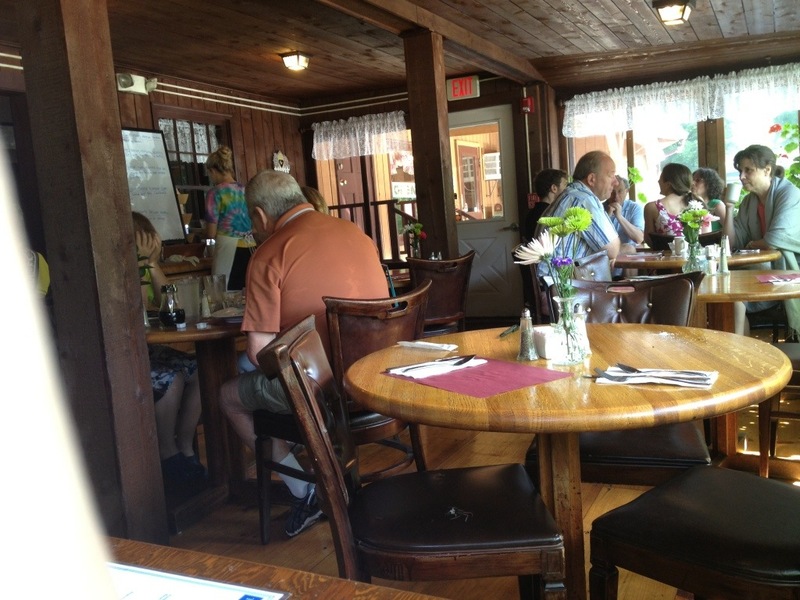 For me, Olde Bluebird Inn is a “mom and pop” food spot meets Great-Grandma’s cabin in Maine where we’d stay each summer for a week or two. In other words, it’s a place where you feel welcome and comfortable, and a place where you know the service will be friendly and the food will be good. 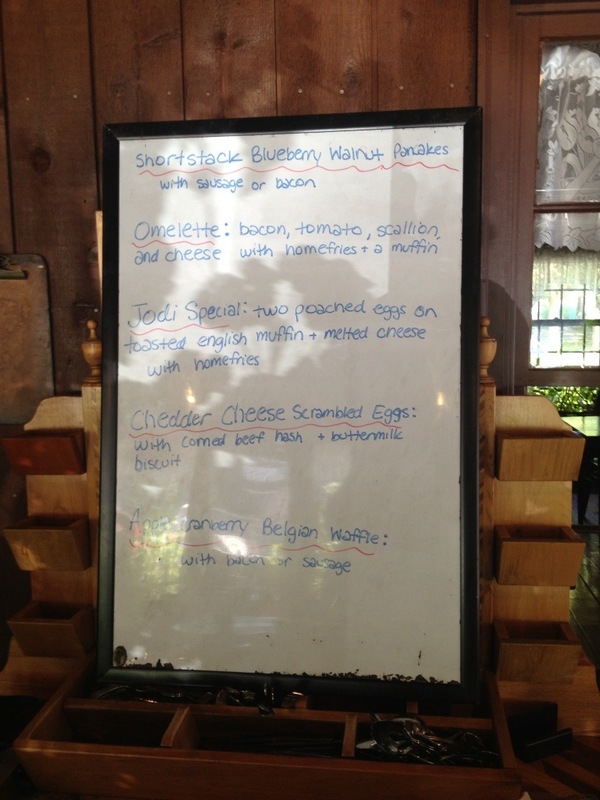 Olde Bluebird Inn serves breakfast and lunch, and has a daily specials board. The Bluebird Special: poached eggs on a toasted English muffin topped with Canadian bacon and melted cheddar cheese, served with home fries potatoes. 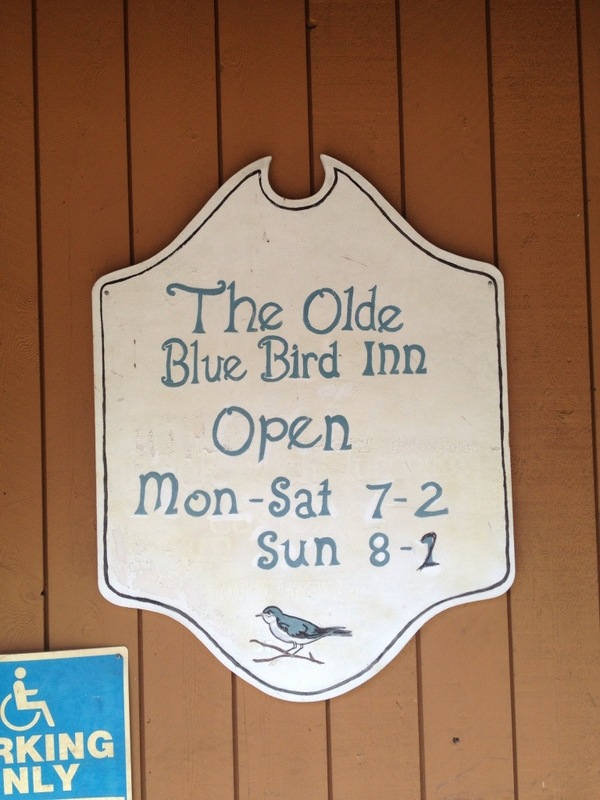 Aside from eggs, Olde Bluebird Inn offers Texas French Toast, Belgian Waffles, six different types of pancakes (Apple Cinnamon, Cheddar Cheese, Blueberry Buttermilk, Whole Wheat, Nutty or Chocolate Chip), and homemade muffins, coffee cake, and poppyseed orange cornbread. 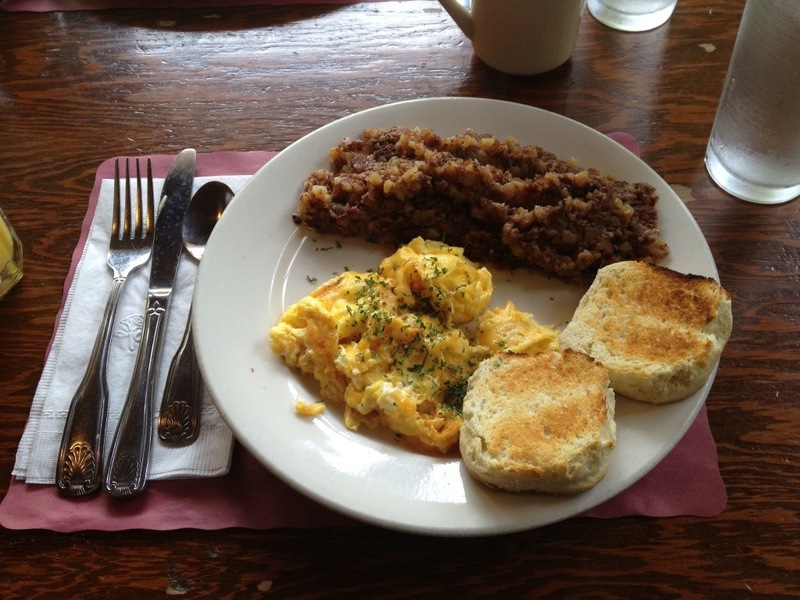 There’s also some sidekicks to accompany your order such as corned beef hash, bacon (Canadian or regular), sausage, and home fried potatoes. For our first visit we decided to order off of the Specials Board. 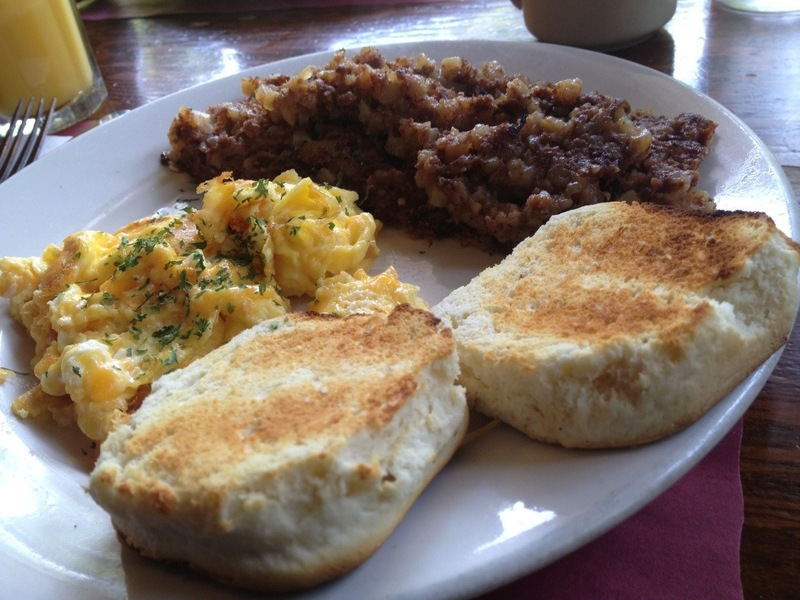 The cheddar cheese scrambled eggs came with corned beef hash and a buttermilk biscuit. 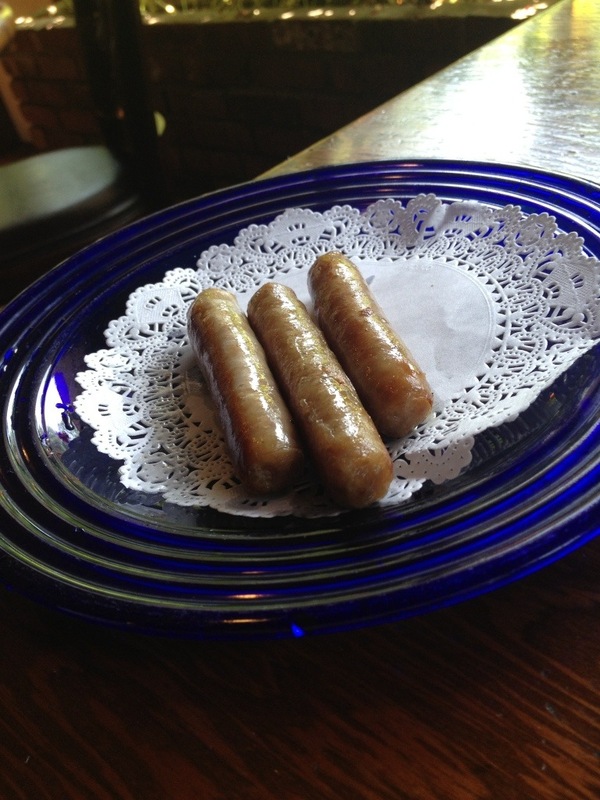 All the parts of this breakfast special are pretty standard and what you would expect when ordering this dish, including the extra side of sausage. 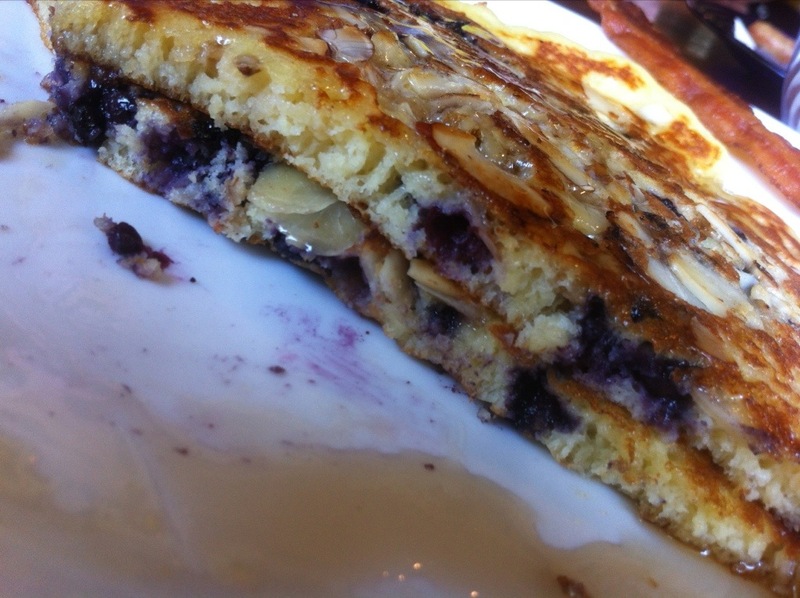 The fresh blueberries are paired perfectly with the shaved walnuts in this pancake. 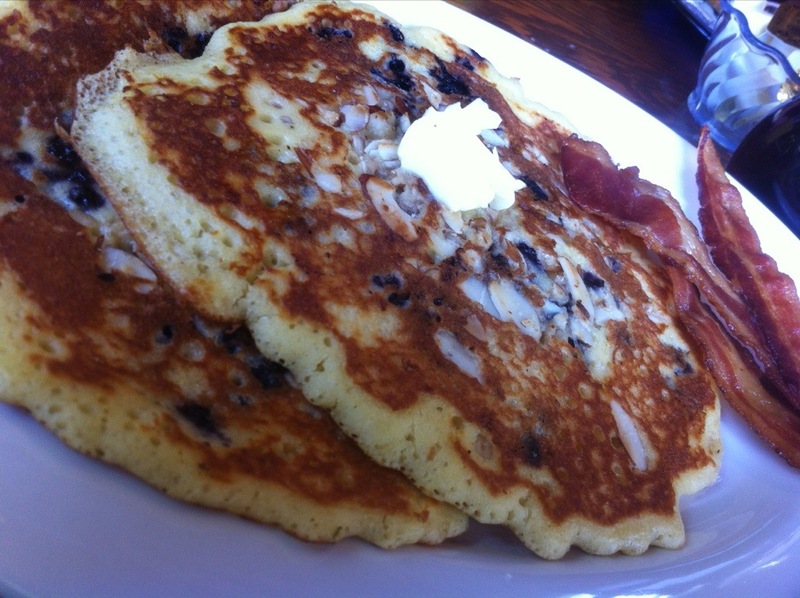 What’s different about these pancakes is that they have cornmeal in them, so expect them to be a little heavier in consistency and a little thinner than a buttermilk pancake. 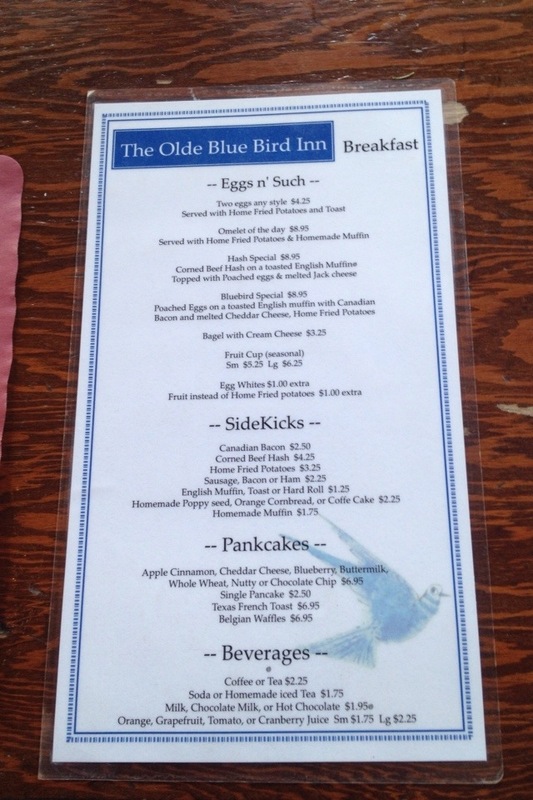 A visit to the Olde Bluebird Inn is sure to guarantee breakfast foods that range from the standard options to some more unique combinations to fill an array of breakfast cravings and appetites.